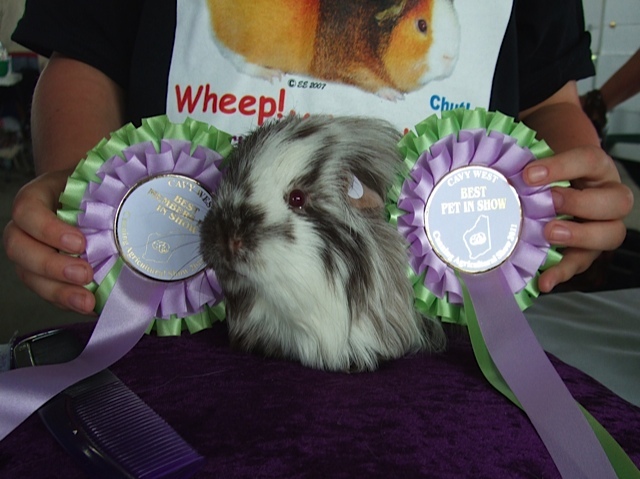 Cavy West hold Condition Classes at most shows. Registration is between 10.00am and 11.00am. Late entries cannot be accepted so make sure you arrive on time. Showing your cavy will cost you $10 per entry, payable when you register (please pay with cash only). You can enter more than one cavy, but each much have its own 'steward' (or handler). 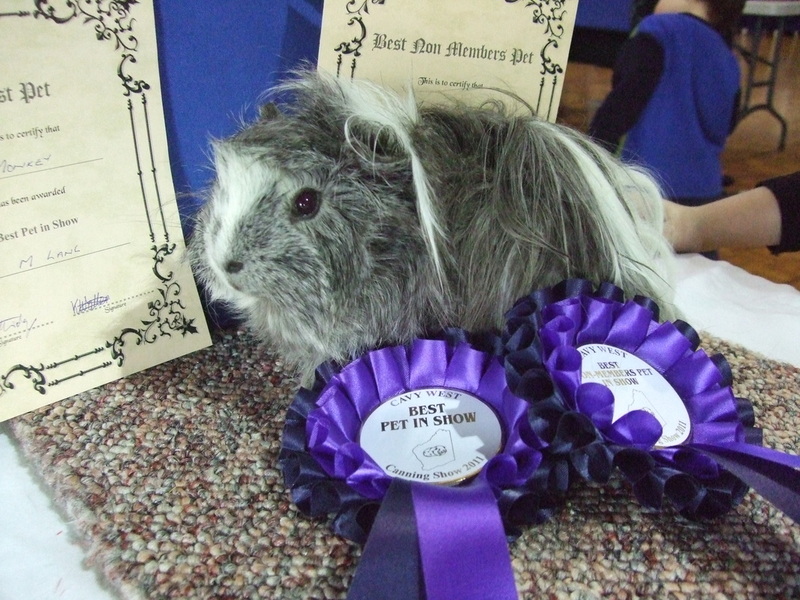 What will your Cavy be judged on? Now your Cavy is clean and ready for the Show put him / her in a clean box / show-cage and head on down to the venue. Please also ensure that your Cavy has access to water. At the hall the Show Secretary will take your entry fee and give you a sticker to put on the Cavy's left ear. Now all there is to do is wait till your number is called and have fun. You will need a carpet mat to show your cavy on. They are available to purchase on the day for $5. If you would like more information, don't hesitate to send us an email or post a message on our facebook page.